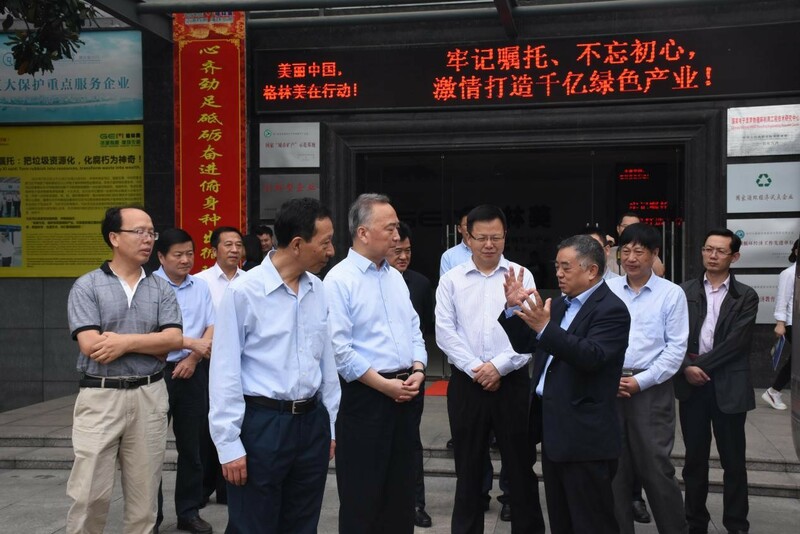 In the afternoon of May 21, 2018, Xu Liquan, chairman of the CPPCC of Hubei province and secretary of the Party Leadership Group, was accompanied by Zhang Aiguo, secretary of Jingmen Municipal Committee of the CPC, and Wu Yingbiao, secretary of the High-tech zone & Duodao district committee, to visit the GEM (Jingmen) recycling industrial park. 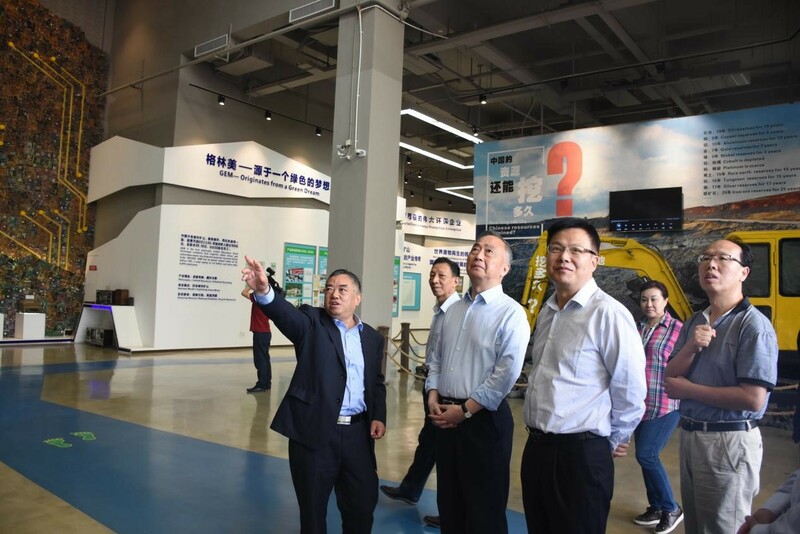 Professor Xu Kaihua, secretary of the party committee and chairman of GEM group, warmly welcomed chairman Xu Liquan and accompanied him to visit the National Museum of Urban Mines and the Environmental Information Management Center. During the visit, Chairman Xu Kaihua introduced GEM’s first prize of Guangdong Provincial Science and Technology Progress Award in 2003 and took this technical achievement to Jingmen to achieve industrialization and establish the root of the development process. Chairman Xu Kaihua said that Jingmen has a good investment environment. In 2004, GEM started hard and run short of funds. The Jingmen municipal government mortgaged the High-tech zone building with a loan of 8 million yuan to help GEM get through the difficult period of development. This has created GEM’s ten billion-yuan recycling industry today. Jingmen is a lovely land for GEM's development and is the originating place of GEM's recycling industry. Chairman Xu Kaihua also explained to Chairman Xu Liquan the technical advantages and the core position of GEM in the whole new energy life cycle value chain, the comprehensive utilization of electronic waste, end-of-live vehicles and the recycling of waste cobalt-nickel-tungsten resources. GEM will strive hard for the one hundred billion green industry in the future. 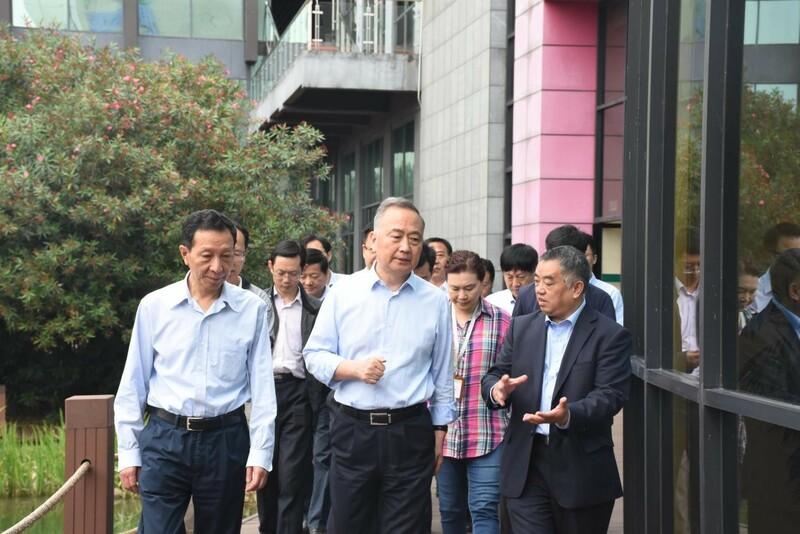 At the Environmental Information Management Center, Chairman Xu Liquan inquired in detail about how GEM solved environmental pollution problems in the process of waste treatment and recycling. Xu Kaihua, chairman of the board, said that recycling is high-tech, economic benefits from the circulate, which realizes the unification of social responsibility and corporate benefits. GEM can completely “eat up and squeeze out” of wastes, and in the process of extracting all valuable metals, it can achieve complete disposal of the three wastes and meet discharge standards, and will not produce secondary pollution resolutely. The Environmental Information Management Center conducts real-time monitoring of the entire park and the key production links to fully master the environmental conditions of the entire park and control environmental risks. Chairman Xu Liquan highly praised GEM’s innovative development in the area of circular economy and encouraged: a good act will be well rewarded, GEM will definitely go better! Wang Min, executive vice president of GEM group, accompanied the visit.